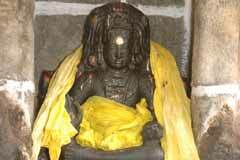 Mother Kola Valai Kai Ambica, also praised as Ambjakshi and Kanarkuzhali is facing east. 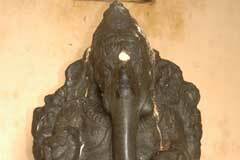 Saivite Saint Sundarar mentions Mother also in his hymns. 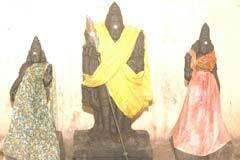 Sani Bhagwan-Saturn graces from a shrine right to Ambica’s prayed by those facing his adverse effects. 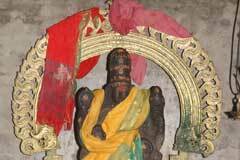 Sri Patanjaleeswarar temple, Kanattampuliyur – 608 306, Muttam Post, Cuddalore district. +91& 4144 & 208 508, 208091, 93457 78863. 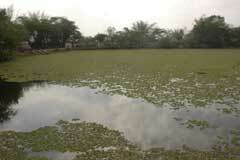 The temple on the banks of River Kollidam is known as Madhukavanam. 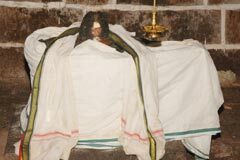 Lord Shiva graces in the form of a small Shivalinga in the sanctum sanctorum. 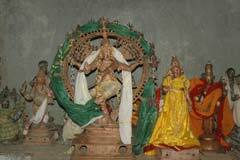 On the Tamil New Year day Sun God spreads His rays on the Lord worshipping Him. When the sages of Dandakaranya came here to worship Lord Shiva, every particle of sand appeared to them as a Shivalinga, they worshipped the Lord from outside. Hence, the sand of the place is considered very sacred which is carried by devotees and kept in their houses believing that it would bring them all welfare and prosperity and cleansing them of their sins. Lord Nataraja appears with His left leg forward and the body slightly backward which is attributed to His pleasing Sage Patanjali who is opposite to the main shrine along with Nalvar – the celebrated saivite saints and authors of Thevaram and Tiruvasagam hymns. 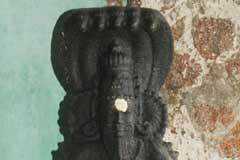 Those seeking relief from adverse effects of serpent planets pray to Sage Patanjali for relief. 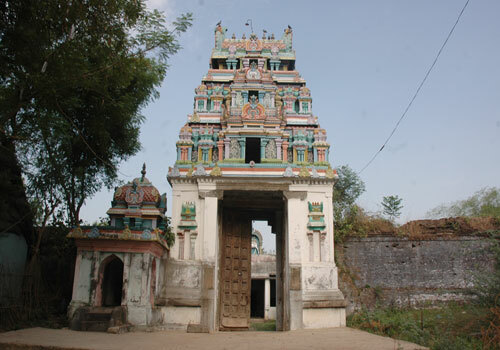 Omampuliyur temple, where Sage Vyakrapada worshipped Lord Shiva is nearby. 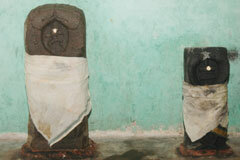 It is noteworthy that three Shiva temples in Chidambaram, Kanattampuliyur and Omampuliyur are in a row.